Vancouver Daze, Volume 70: Tea infused cocktail launch at The Urban Tea Merchant on May 18, 2012. Published in Vancouver Is Awesome. 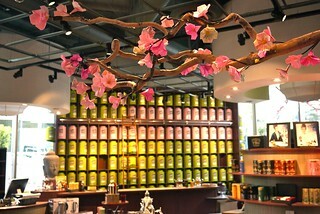 I dropped by The Urban Tea Merchants's downtown shop, cafe, and salon for afternoon tea with a twist. 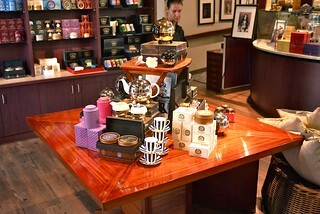 TUTM prides itself on its exclusive use of over two hundred varieties of TWG Tea in Canada. The smells reverberated all over as their attention to detail and quality were clear. 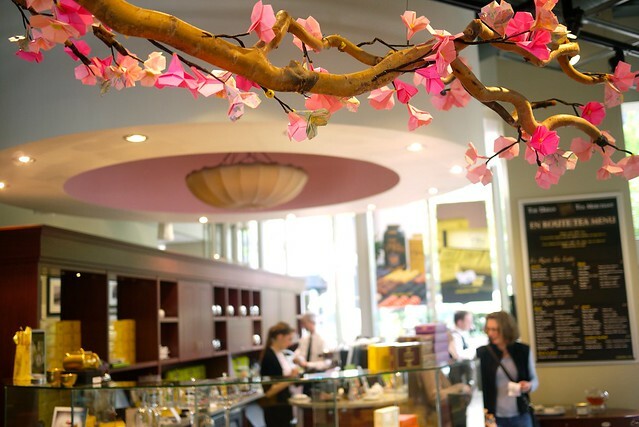 I was endeared by a lovely family story of North Vancouver cosmeticians, their entrepreneurial daughter, and tea sommelier son-in-law labouring and travelling the world to learn about and embrace global tea culture to bring it back here, after being inspired by a late night dream some years ago. 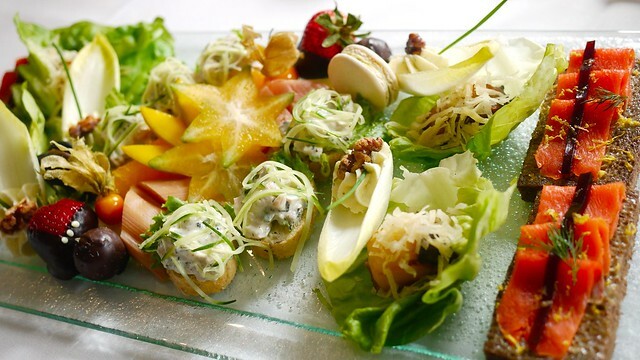 For the west coast tea service, I sampled the miso-maple glazed sablefish wrapped in butter lettuce, open-faced chicken squares, smoked salmon with wasabi aioli, all very tasty. 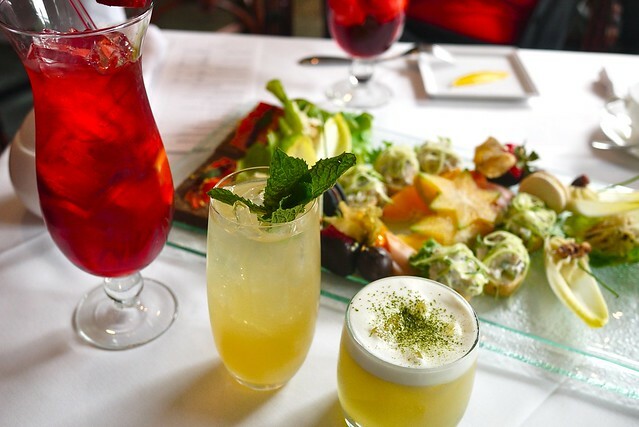 Created by Ensemble mixologist Ben Lambie, TUTM launched a line of tea infused cocktails to appeal to the burgeoning youth tea drinking crowd and professionals in the area. 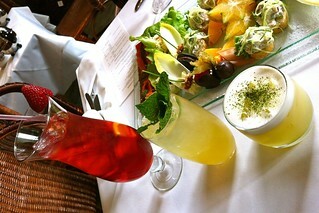 I tried the refreshing Moroccan mint mojito (full of mint tea) and match sour (a lime and matcha infused bourbon sour). 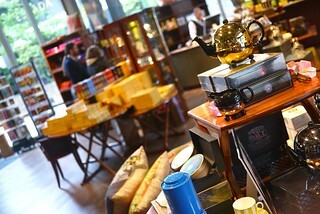 I was enamoured with the smooth blend of whisky, egg white, and matcha tea. 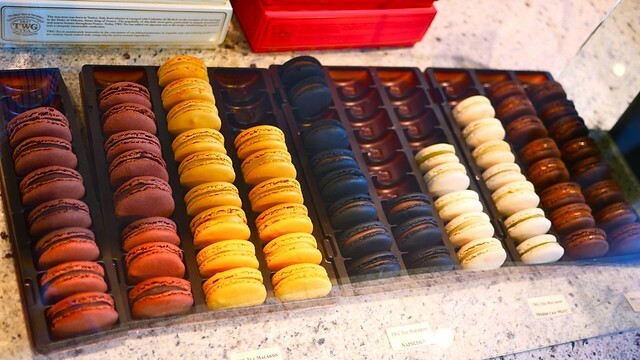 Keeping with full tea culture, the scrumptious macarons are also tea infused with all the flavours of the rainbow. 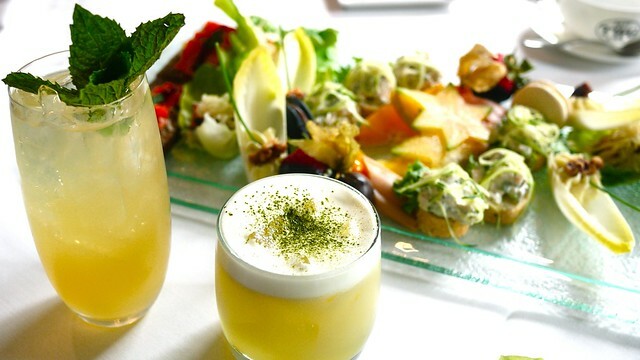 Afternoon tea service with a cocktail twist was delightful and fully pleasurable as I soaked up the fine ambience and service, embracing tea culture at its finest west coast style.